Scrubbing a bathroom is time consuming. Worst of all, your bathroom will be dirty again in no time, and you’ll have to do it all over again. That’s why we’ve come up with these 10 easy tips to keep your bathroom cleaner longer, so that you can simply get more bang for your bathroom-cleaning buck. Hanging up your towels is both visually more appealing by making your bathroom look cleaner longer, and it also reduces the risk of moisture accumulating and turning into a smelly mess. We recommend that you add additional towel bars if you do not have ample space to hang up all of your towels, or use over-the-door hooks to keep towels neat and off the floor. 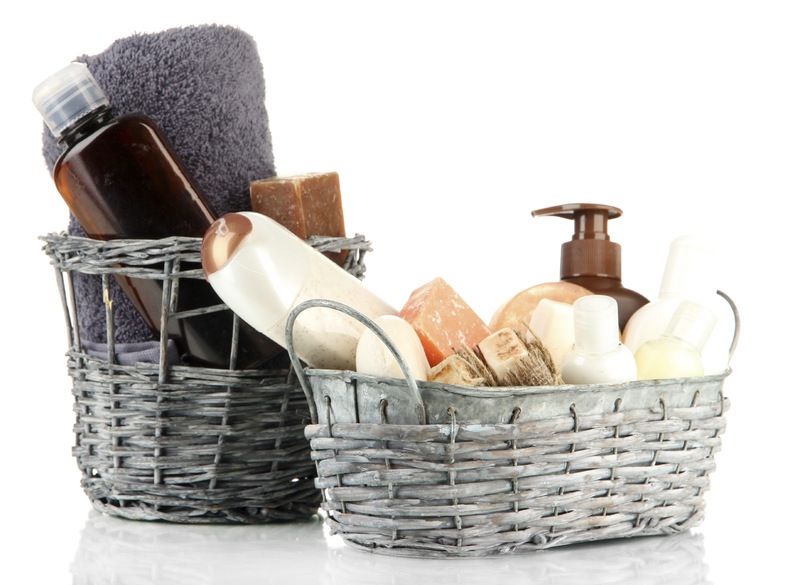 Although it’s tempting to create a permanent living space on your bathroom counter for items you use every day, keeping these items out of sight can really spruce up your bathroom’s overall appearance. Keep your small items like hair accessories, make-up and general knick knacks in a basket on your counter, or stash one under the sink if your counter space is minimal. Keeping air circulating in your bathroom while you bathe or shower will keep condensation at a minimum. Keeping condensation down results in a bathroom that stays dryer, which means there are fewer opportunities for water droplets that stain mirrors and eventually turn to mildew. Don’t let small messes become big ones. A small water spill or some accidental toothpaste splatter on the mirror can easily be conquered with little more than a paper towel. Cleaning as you notice small things will keep messes from accumulating, making the actual act of cleaning much less daunting and keeping your bathroom a manageable clean for longer. Forget big yellow gloves and big scrubbing brushes. Put down the chemicals, and pick up a simple, non-abrasive cleaner like water with vinegar or a ready solution like Sal Suds. While you’re in your shower, simply spray, wipe and forget it. Cleaning your shower more often and in smaller increments will keep buildup from occurring and allow you to have a fresh shower for longer. Stop shower scum and mildew before they can start. 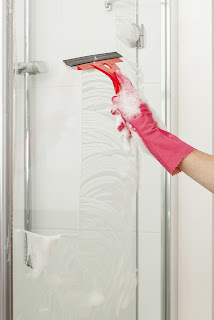 Hang a squeegee up in your shower, and wipe down walls and doors to minimize stains, buildup and gunk. Spray shower curtains with a vinegar solution, and keep your shower curtain closed so that leftover water can’t turn into smelly mildew. Your toilet brush is happy to do all of the grunt work for you, but you have to use it. Don’t neglect toilet stains until they become unmanageable. Simply use your brush together with a little bit of soap regularly and as needed to keep your toilet bowl looking clean at all times. You’ll notice the difference and so will your guests. Let’s face it - your bathroom sink could use a little cleaning right now. Bathroom sinks are notorious for collecting gunk at a blistering rate, and that’s because we use them more than any other bathroom appliance. Keep your sink cleaner longer by placing bar soaps into designated trays, or by nixing the bar soap altogether and opting for a liquid soap. We prefer foam dispensers because they help to eliminate accidental soap drips altogether. Vacuuming and mopping can both be overwhelming, so we tend to avoid them for as long as we can. We recommend that you keep a small broom nearby so that you can give your bathroom floor a good once-over when it needs it, ensuring that your bathroom floor looks cleaner longer. Unless you are willing to wash your bathmat once a week or more, we don’t recommend keeping one on your bathroom floor. While bathmats are designed to be just that, they are really just another item in your bathroom that provides an opportunity for dirt, hair and water to collect. Instead, we recommend placing a towel in front of your shower to step on, which you can hang up to dry properly after you’re finished. If you have any helpful hints or tips for keeping bathrooms cleaner for longer, let us know by commenting below. Thanks for the helpful recommendations. I'm sure that many people will need them, even I found some new tips for myself. You can read my blog, where I share advice on choosing bathroom equipment.